Low bone mineral density (BMD) becomes more prevalent as kidney function declines, new study findings confirm. The hip appears to be the most affected site in patients with chronic kidney disease (CKD) and correlates with secondary hyperparathyroidism (SHPT). Rosilene Motta Elias, MD, PhD, of the Universidade de São Paulo, and colleagues retrospectively reviewed dual-energy X-ray absorptiometry (DXA) and biochemical data from 1172 patients with CKD from their nephrology clinic (81% female; 80% white; and 8% diabetic). A third of patients had osteopenia and a fifth had osteoporosis in at least 1 site in the hip or spine. As CKD stage increased, osteopenia and osteoporosis developed in greater proportions of patients. 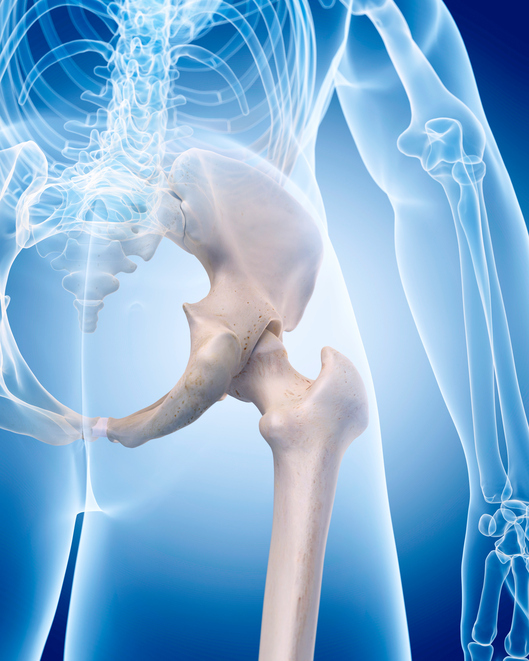 Patients with CKD stage 3 or higher were more likely to display hip involvement. Investigators found no significant association between kidney function and BMD at the spine. SHPT (defined as parathyroid hormone levels of 65 pg/mL or greater) and older age were independent risk factors for osteopenia or osteoporosis at the hip, Dr Elias and the team reported in Osteoporosis International. More involvement at the hip than spine may reflect “greater impairment of cortical than trabecular bone in patients with CKD,” they suggested. Risks for osteopenia or osteoporosis were 51% and 91% higher for patients with an estimated glomerular filtration rate (eGFR) of 30–60 and 15–30 mL/min/1.73 m2, respectively, compared with an eGFR of 90 mL/min/1.73 m2 and higher. “Taken together, our data suggest that hip fracture might be associated with hyperparathyroidism and low BMD in patients with CKD, whereas spine fractures are similar to those observed in the general population and cannot be predicted by low BMD,” Dr Elias and the team stated. The risk for having osteoporosis/osteopenia is much higher with SHPT, they added. For a 60-year-old woman, the risk doubles from 20% to 40% in the presence of SHPT.